About Nancy X. Message Nancy X.
Exelent tour and tour guide Nancy. Nancy was a helpful and informative tour guide and the Hanging Temple and Grottos were amazing! Highly recommend! Nancy and the driver were wonderful! We thoroughly enjoyed our tour in Datong. Nancy met us at the airport with a delicious Chinese breakfast. 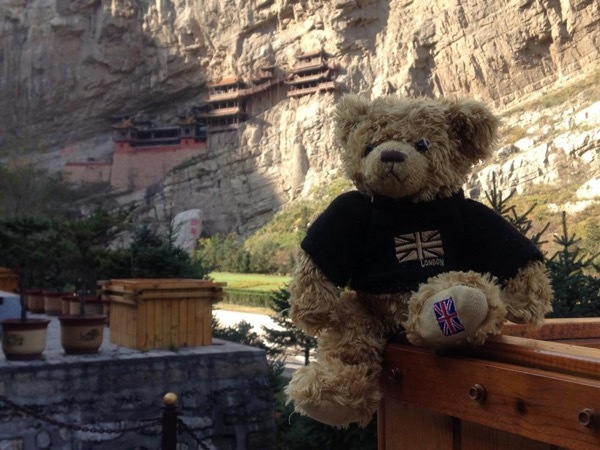 From there we saw the Hanging Temples and the Yungang Grottoes. Very interesting to experience with someone that grew up playing in the area. Nancy took us to a delicious dinner with local noodles and bought us locally grown grapes on the way to the airport. Could not have been better- Very happy! Nancy is very fluent in English- easy to communicate with her! Nancy looked after me very well and told me alot of interesting facts about Chinese history and culture. She was good company to spend the day with and was kind and patient when I felt a little nervous high up in the Hanging Monastery. I would recommend Nancy's services as a tour guide for other people.